This is the home you've been waiting for! Built in 2017 & hardly lived in! 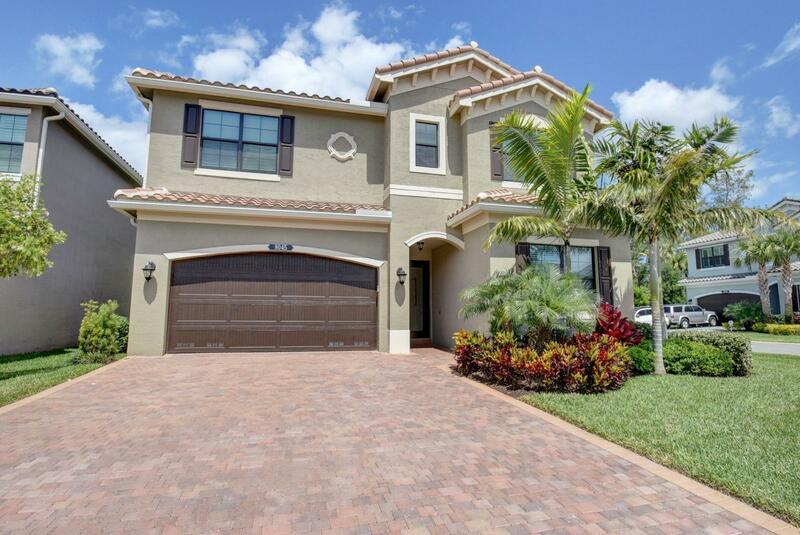 Located on a CORNER lot in DELRAY BEACH, this highly sought SIENNA model home is loaded with UPGRADES galore! One bedroom and a full bathroom with shower are located on the main floor. An enhanced chef-inspired kitchen boasts custom cabinets, extra-large island, granite counters, upgraded decorative tiled backsplash, upper & lower cabinet lighting, and stainless steel appliances. Large master suite features coffered ceilings and 2 walk-in closets. Luxurious master bath includes cultured marble vanity tops and mirrors to ceiling. Impact resistant windows and doors throughout, glass entry door, porcelain tile throughout the living area, hi-hats throughout, oversized laundry room, extended covered rear patio & more!